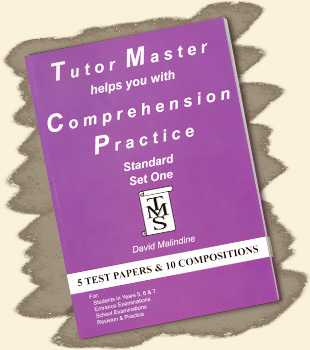 This book contains important practical advice on the best ways to prepare for standard comprehension tests and how to write effective purposeful answers. 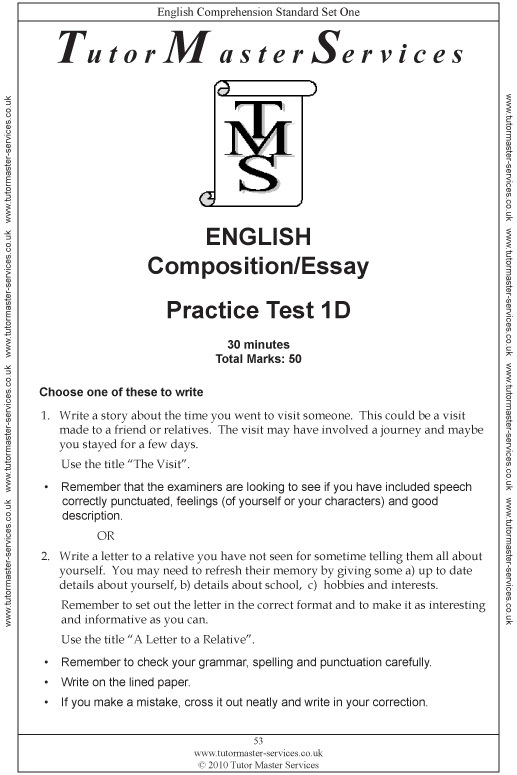 It also provides tips and advice for writing compositions/essays, which are writing tasks that cover aspects of creative writing such as stories, reports and letters. 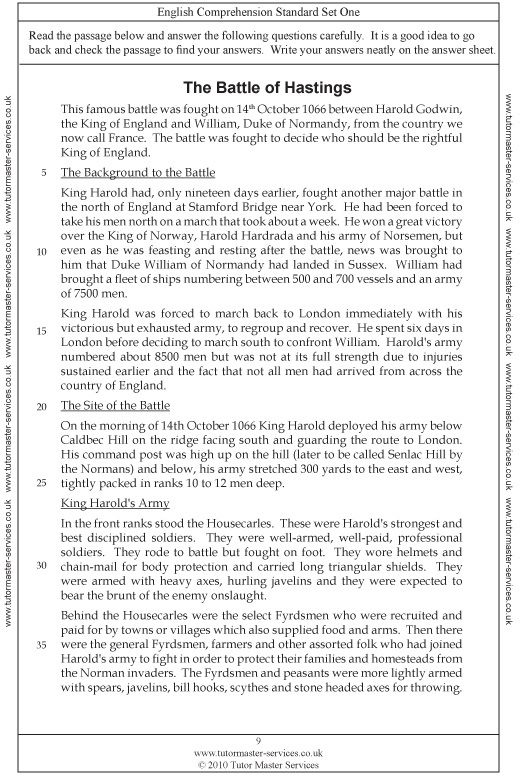 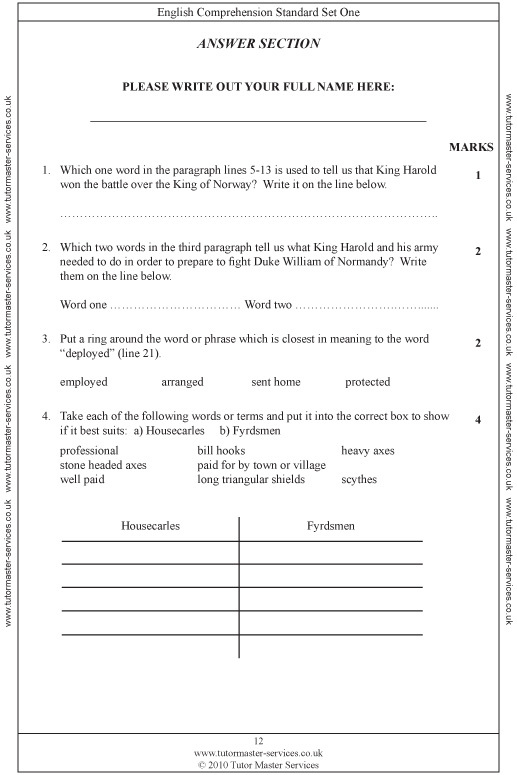 Included are 5 comprehension passages plus accompanying questions with space provided for students to write their answers. 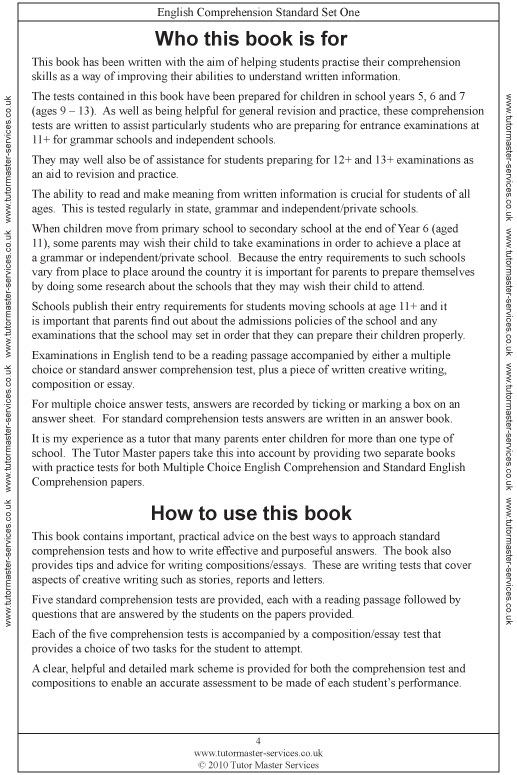 Also included is a choice of 10 composition/writing tasks plus space for responses to these tasks to be written in the book. 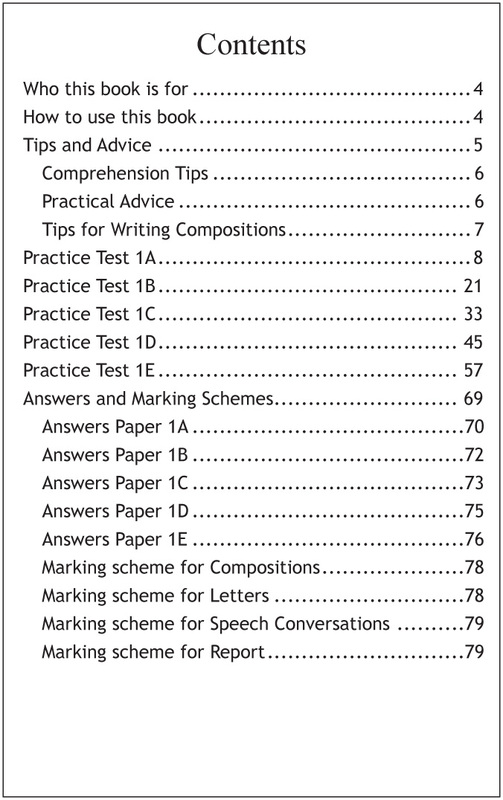 Full and detailed answers are provided with an easy to use mark scheme that covers both the comprehension questions as well as the creative writing tasks.